I remember a time when my self-care was so low and my stress was so high, that the chronic negativity not only infected my body (hello gallbladder! ), but also my closest relationships. I had to get real about taking care of myself because I learned that it was the only way I would ever be healthy enough to care for my child. The truth is, you can't be emotionally available for your children - especially your sensitive children - if you don't nurture the inner you. 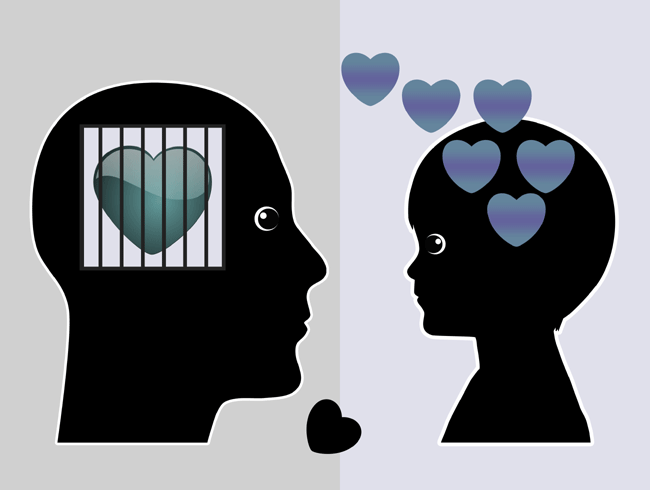 Creating a loving and trusting relationship with yourself is important if you want to cultivate that kind of relationship with your child. 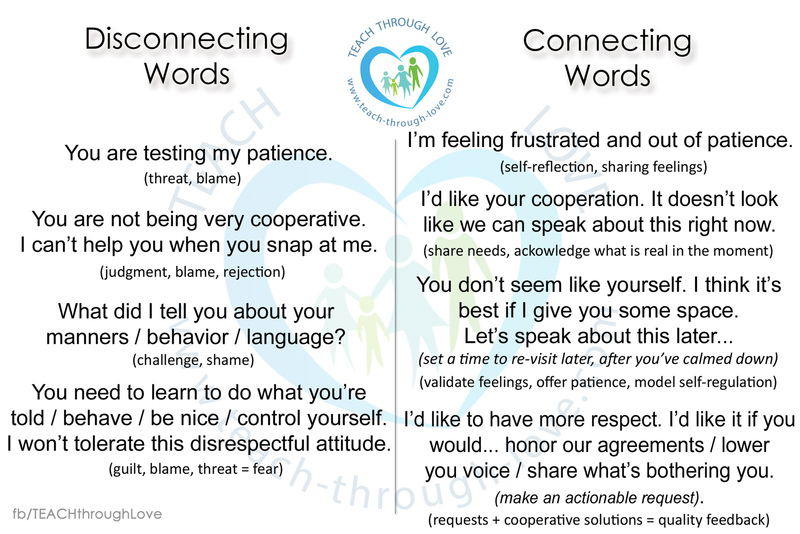 But, when you have a sensitive, inflexible child who can be resistant or combative - despite being highly empathic and extremely smart - it isn't always easy. a raised eyebrow was enough to compel children to behave. a swat on the backside brought a swift and final end to poor behavior. time-outs were a quick fix to unrelenting negative behaviors. -- but then you remember how force only makes your child's behavior WORSE. 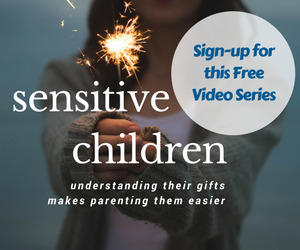 So, I've created this FREE VIDEO SERIES - Supporting Sensitive Children and would love for you to join me to learn what is needed to gently guide our most sensitive children. 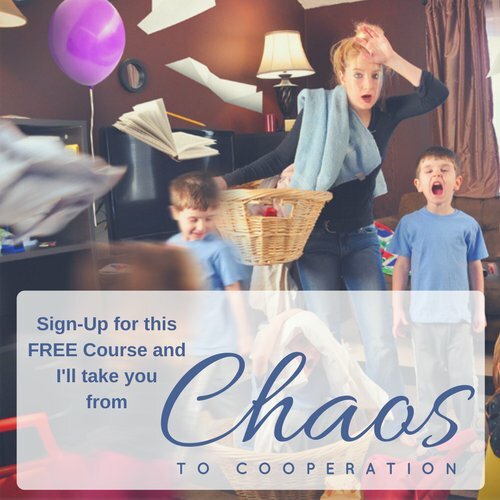 My personal experience has given me the insight to help you navigate rigid behaviors, obsessive interests, and a temperament that might send some parents into head-spinning madness. Being a sensitive, highly-reactive child is challenging. Raising a sensitive, highly-reactive child is also challenging - but it doesn't have to be a struggle. I know that the strength of my relationship with my child has changed the way she experiences the world. This is just one of three key areas of focus which can help your child grow - instead of staying stuck in negativity. My free video parenting series, Supporting Sensitive Children, will introduce you to the 3 areas of focus outlined in the full Supporting Sensitive Children Online Series and get you started on a path to understanding your sensitive child.